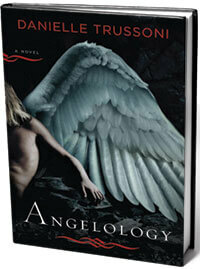 The Milwaukee Journal Sentinel calls Angelology, by Danielle Trussoni ’96, a “brainy, religious thriller” — an intriguing blend of history, fantasy, and adventure in which a young nun and a historian become embattled with the half-angel/half-human Nephilim. Trussoni’s first novel follows a memoir, Falling through the Earth, which the New York Times chose as one of the ten best books of 2006. 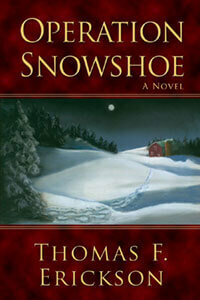 Expect a sequel from the Onalaska, Wisconsin, writer, as well as a film based on the book. Operation Snowshoe (Durban House Press) weaves together the lives of four seemingly disparate people in a thrilling tale about murder, a cover-up, the Mafia, espionage, and the derailment of Middle East peace talks. Author Tom Erickson ’64, MBA’66 of Chicago and Marco Island, Florida, spent twenty-three years with an investment-banking firm before retiring. With the “graying of America,” many adults are finding themselves in new roles as caregivers, and Margery Cutsinger Pabst MA’67 hopes to assist them in fulfilling those roles with courage and compassion. 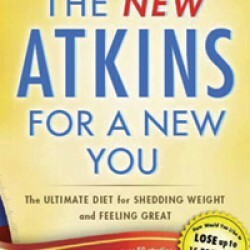 A speaker and consultant in Winter Park Florida, she’s co-authored her fourth book about life transitions, Enrich Your Caregiving Journey (Expert Publishing). 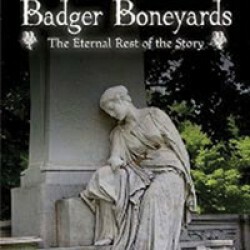 From Andy Kendeigh ’91 to every Badger Stater who loves to banter about athletics comes The Best Wisconsin Sports Arguments: The 100 Most Controversial, Debatable Questions for Die-Hard Fans (Sourcebooks), covering memorable moments involving the Packers, Brewers, Bucks, Badgers, and more. (Readers could probably even argue about which arguments were chosen.) Kendeigh is a sports anchor and reporter at WISN, Milwaukee’s ABC TV affiliate. Attention, folks who feed the hard-to-feed: the mother-daughter team of Ellen Fitzsimmons ’70, MS’74, PhD’81 and Molly Lepeska MS’04 have created The Intolerant Family Cookbook: Gluten-Free, Dairy-Free, Family-Friendly Food (www.ifcookbook.com). Fitzsimmons worked for the UW-Extension for many years. He’s now retired and resides in Madison and Dallas with spouse Allyn Lepeska JD’73. Molly Lepeska lives in Amsterdam, where she works in health communications for an international AIDS NGO. 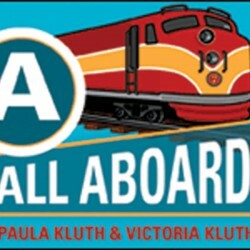 Patricia Bauer ’78 has written her first book, B Is for Battle Cry: A Civil War Alphabet (Sleeping Bear Press), which is illustrated by her spouse, David Geister. The work offers text, poems, and oil paintings that illustrate major historical milestones for a tween readership. Bauer teaches American history at Black Hawk Middle School in Eagan, Minnesota, and is an adjunct instructor at Hamline University in St. Paul. 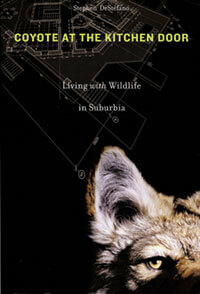 Coyote at the Kitchen Door: Living with Wildlife in Suburbia (Harvard University Press) explores what the American appetite for real estate means for the well-being of humans and animals, in particular the coyote. Author Stephen DeStefano MS’82 is a research professor at the University of Massachusetts-Amherst. Presidents and Political Thought (University of Missouri Press) is the first comparative study of how six American chief executives — Adams, Jefferson, Madison, Wilson, FDR, and Clinton — applied the specialized knowledge of political theory in their administrations. Author David Siemers MA’92, PhD’97 is an associate professor of political science at UW-Oshkosh. Following A Woman in Amber: Healing the Trauma of War and Exile, the memoir that earned her an American Book Award, Madisonian Agate Nesaule PhD’73 has written her first novel: In Love with Jerzy Kosinski (Terrace Books). Her heroine flees Latvia, escapes Russian confinement, and arrives in America, only to find herself in a different kind of captivity. Nesaule is a UW-Whitewater professor emerita of English and women’s studies. 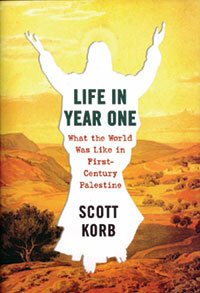 Based on ancient, modern, and personal sources, Scott Korb ’97 takes readers inside daily life in a time of insurgency, taxation, poverty, crime, war, and political and religious backstabbing through his authoritative, lively, and witty work, Life in Year One: What the World Was Like in First-Century Palestine (Riverhead Books). Korb is a professor at NYU’s Gallatin School of Individualized Study and also teaches at Eugene Lang College/The New School for Liberal Arts. 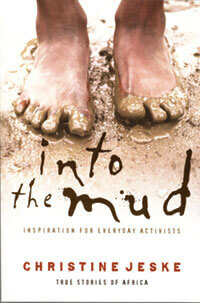 Into the Mud: Inspiration for Everyday Activists, True Stories of Africa (Moody Publishers) goes behind the headlines to share stories from those who are combating Africa’s myriad challenges. Author Christine Sorensen Jeske ’99 and her spouse, Adam Jeske ’00, have worked in microfinance, development, and refugee resettlement. They now reside and teach at the Evangelical Seminary of Southern Africa in Pietermaritzburg, South Africa. In the anthropological study Drug War Zone: Frontline Dispatches from the Streets of El Paso and Ju√°rez (University of Texas Press), author Howard Campbell MA’84, MA’85, PhD’90 provides oral histories from drug traffickers and law-enforcement officials, plus analyses of drug cartels, corruption, and strategies on both sides. Campbell is a professor of sociology and anthropology at the University of Texas-El Paso.